From Ellensburg we traveled to Leavenworth Washington in the foothills of the Cascade Mountains. 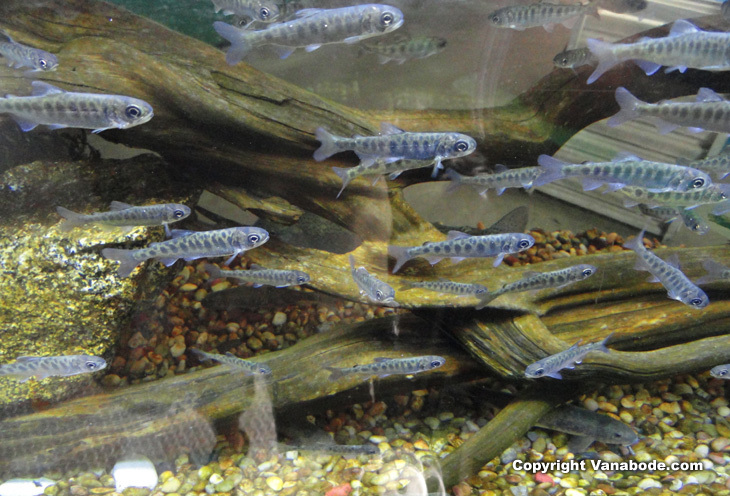 We skipped the town at first and went instead to the Leavenworth National Fish Hatchery run by local and national government agencies. It was set up many many years ago to reintroduce live Salmon and Trout fish to nature since so many had been killed from commercial over fishing. The industry is so heavily regulated now that you need a college degree to know when and where you can fish. Native Indians have pretty much free reign though and they do enjoy this sport for both profit and personal use. I am part American Indian and part French supposedly born out of a union of sorts during the French and Indian war near and involving Canada as well. I recently discovered that the main reason the middle of the country was 30 years behind the coasts in being developed was because the Comanche Indians were the fiercest and most war ready of all Indian tribes. They were excellent horseman, fearless and destroyed both the Mexicans and Whites that tried to settle middle America. 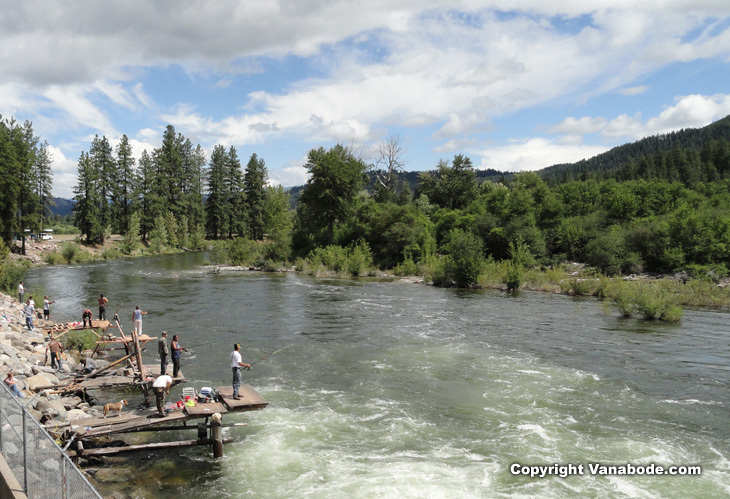 Above: Native Americans fish the hatchery immediately downstream of the release tanks and dam. I saw them catch arm length salmon here. Trout are also released in this wild cold river, the Wenatchee. Above: Leavenworth sports a great downtown tourist area with extremely good restaurants, especially Bavarian and German style. 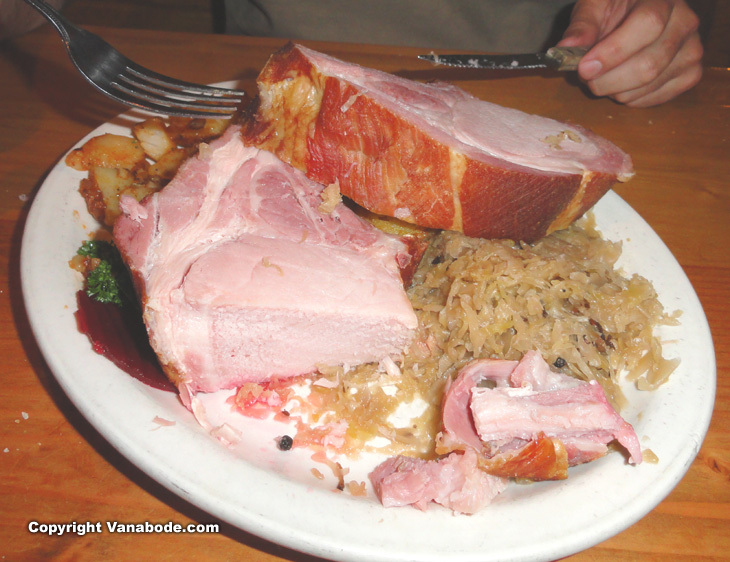 We ate at Andreas Keller, an authentic Bavarian restaurant that served me the most incredible and unique smoked pork chops I have ever seen. I did not even know you could make meat like that. My wife devoured the Pork Schnitzel and there was literally not a drop left on her plate. I took some of the cream sauce and cooked it over my second chop the next day in my Vanabode while camping. 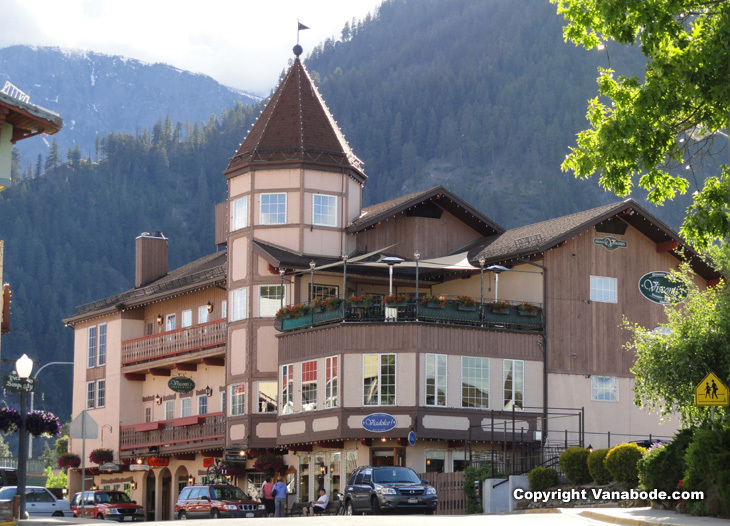 Leavenworth was converted to a Bavarian theme in the 1960's and now has over 2 millions tourists a year come through. Most of the shops serving food will give free samples especially during the monthly festivals. There is a strict design review board process in place so all construction must meet guidelines designed to ensure great facades and compliance with established good taste. Many people rent tiny one child size kayaks and the kids learn this skill in the pond at the Leavenworth Fish Hatchery during the Salmon festival. 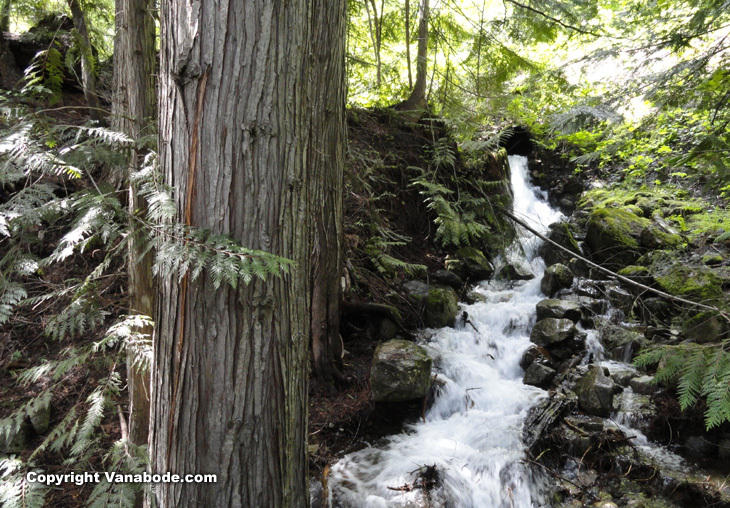 We hiked nearly 9 miles round trip on the Icicle Gorge River Loop Trail. The road was washed out so we had to start the hike 3 miles before the trail head. It was all scenic though so other than that being a bit too long for a typical day hike it was great fun. The entire route is along Icicle Creek which leads to the Wenatchee River with thunderous waterfalls and rock ingested white water smashing huge downed trees. The sounds of the deep dark forest creaking and moaning under the weight of the heavy fog and bits of rain made it seem spooky and romantic at the same time. The forest here is huge with massive pine trees in heavy wooded forests and is easily accessible from June to August. For the other nine months out of the year probably nobody but snow lovers would want to be here due the rugged nature. Super quiet with very nice hikes going pretty much anywhere you want. My wife managed to get me on a 9 mile round trip hike through heavy forest which was quite a treat if you take out the part about not being able to walk upright the next day. I highly recommend this hike despite the issues with the road being out. They told us they have plans to raise the landscape through that portion as soon as the money is available so the hike will be much more accessible in the future. For us it was good that it was hard to get to though since we did not see any one for over 97% of the hike. There are of course many hiking and skiing opportunities in this area. Between the fun city based tourist activities like art galleries and shopping and the great outdoor hiking, and snow sports I can really see why so many people like Leavenworth Washington.